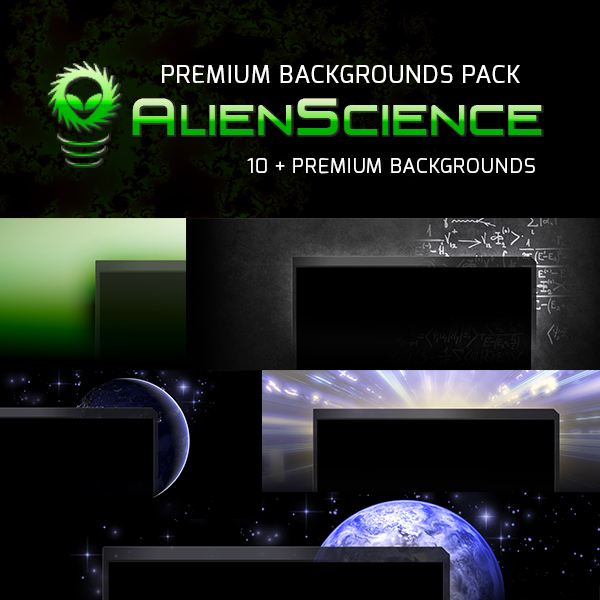 Includes the Theme Extender Plugin and Premium Backgrounds Pack as a bundle. 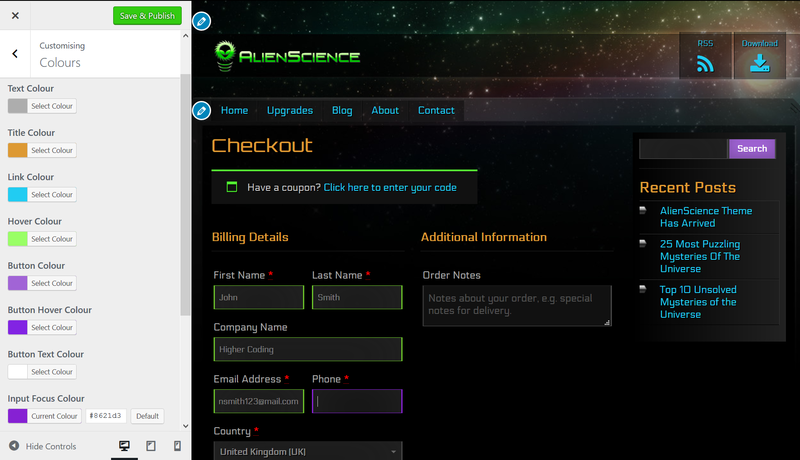 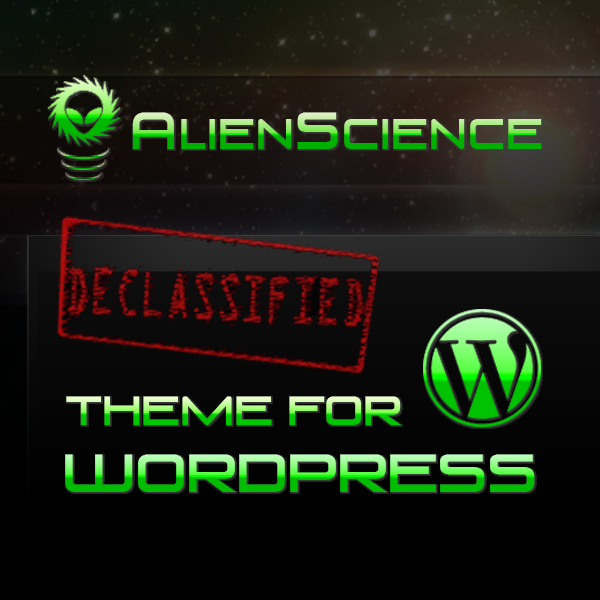 AlienScience Declassified is a premium theme for WordPress. 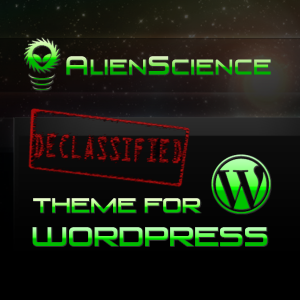 It is based on the free theme with added support for the Woocommerce plugin, powerful colour customisation options and many other improvements. Purchase of this theme allows you to easily remove the credit link from the footer and support message from the admin dashboard as featured in the free version. 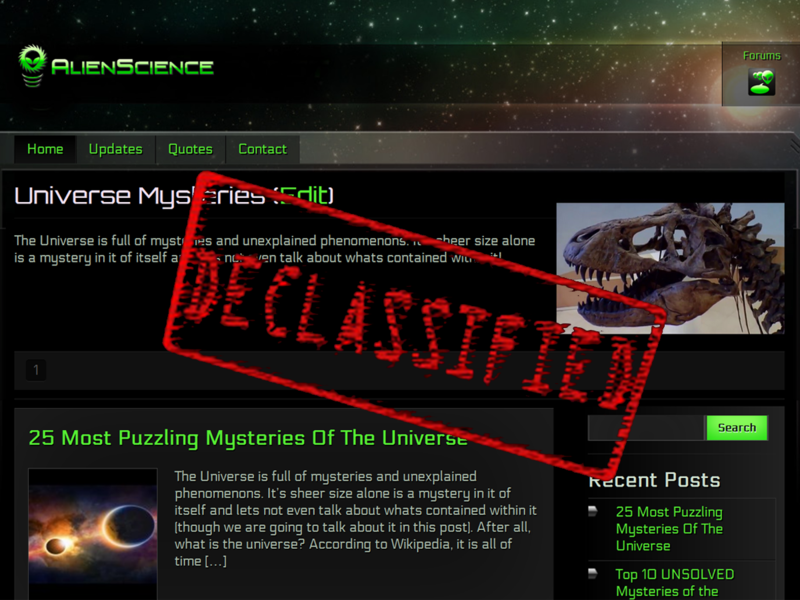 This website is a live demo of the declassified theme.